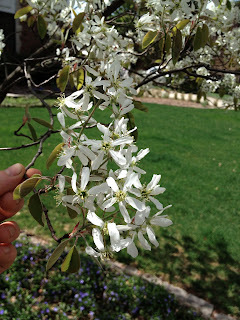 The juneberries (Amelanchier sp. ), are blooming! These shrubs/small trees are members of the rose family. 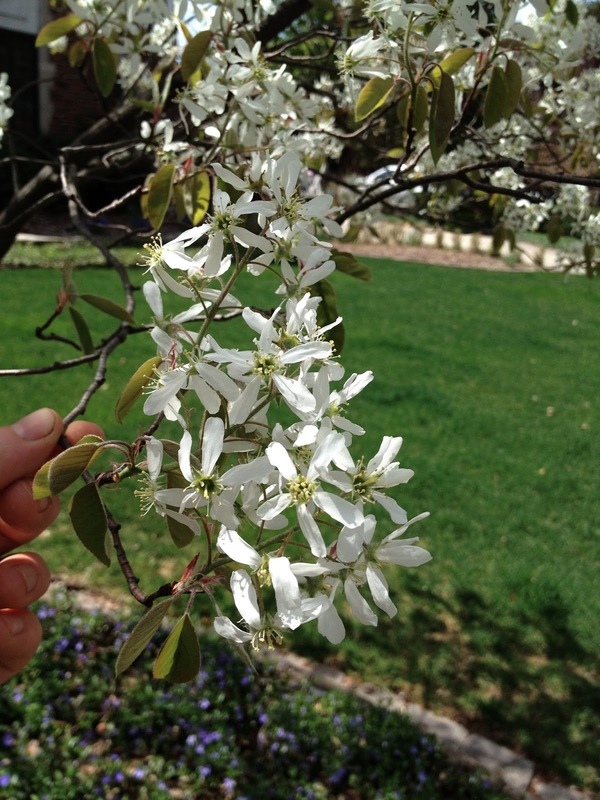 Their flowers have 5 thin white petals and in about a month will turn into delicious fruit. They make a fantastic pie, if you can gather enough berries before the birds do! In Canada they call they Saskatoons!